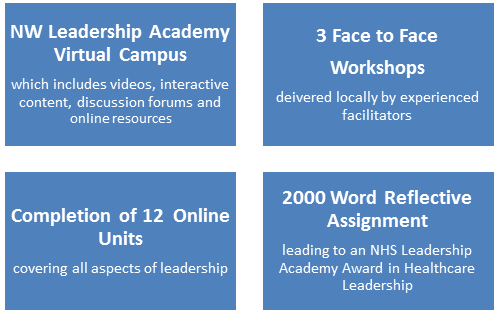 The Mary Seacole Local Programme is a six-month leadership development programme designed by the NHS Leadership Academy in partnership with global experts the Hay Group, to develop knowledge and skills in leadership and management. The concept of learning how to be a leader when you’re in the thick of your day to day responsibilities can seem rather abstract, but the Mary Seacole Local Programme is grounded in reality and results in real workplace application. It aims to provide the balance between learning leadership theory and putting it into practice. Designed for those looking to move into their first formal leadership role, or those new to first time leadership, it empowers people to turn their individual success into consistent team success and to champion compassionate patient care. Who is the Mary Seacole Local Programme for? The Mary Seacole Local Programme would particularly benefit staff working at manager level across the Trust but is equally as valuable to staff finding themselves new to a ‘formal’ position of leadership with responsibilities for people and services. The programme is six months long with 100 hours of online study via a Virtual Campus and 3 face-to-face behavioural workshops delivered locally by skilled leadership facilitators, drawn from across the Cheshire and Merseyside area. You must commit to attending the launch and 3-workshops before enrolling. Speak to your manager to confirm they support your application and attend an open session – these will be advertised on Trust News. You will need to submit a 500-word expression of interest form which will be considered for a place on the programme. Successful applicants will be provided with a link to formally register with the North West Leadership Academy.